Great Expectations is one of Dickens's best-loved novels and, say some critics, his greatest. Covering the story of one man's life--with many autobiographical elements--it tackles big question of identity while mustering a cast of unforgettable characters, chief amongst them Miss Havisham and Joe Gargery. Charles Dickens is one of the greatest and most widely read of novelists writing in English. 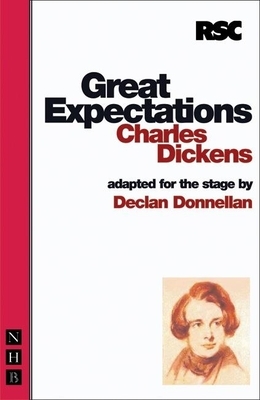 "Great Expectations" is only one of some fifteen novels, all of whose titles are common currency and all of which have been repeatedly dramatized for stage, screen and radio. British theatre director Declan Donnellan is the first Director of the Royal Shakespeare Company Academy and is best known for his work with Cheek by Jowl (including their acclaimed all-male As You Like It) and on Tony Kushner's Homebody/Kabul. As Associate Director of the National Theatre his productions included Fuenteovejuna, Sweeney Todd and Angels in America.